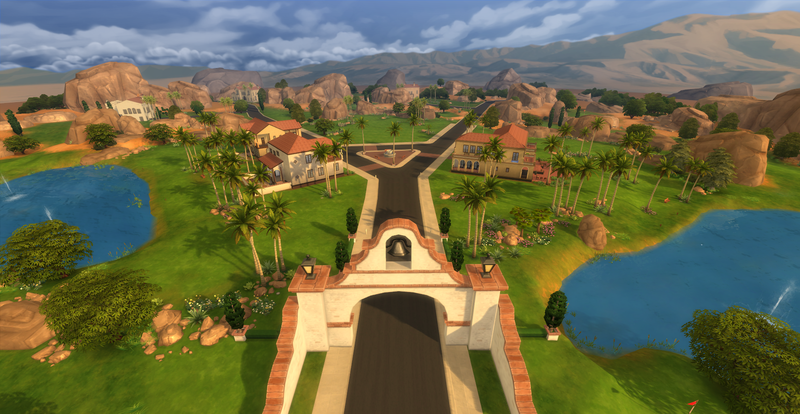 Join the Founder, Rosabelle Prospero (and myself) on a journey from literally nothing to §1,000,000 simoleons. Now this is a challenge for me as a player! I always use money cheats to build enormous mansions for my sims, see my play style for more info, and this legacy will force me to let my sims live out in the open for a least a while. It will be very interesting to follow in new born in CAS sim from §0 to §1,000,000! Read Rosabelle’s Story everyday and check back here for character updates! 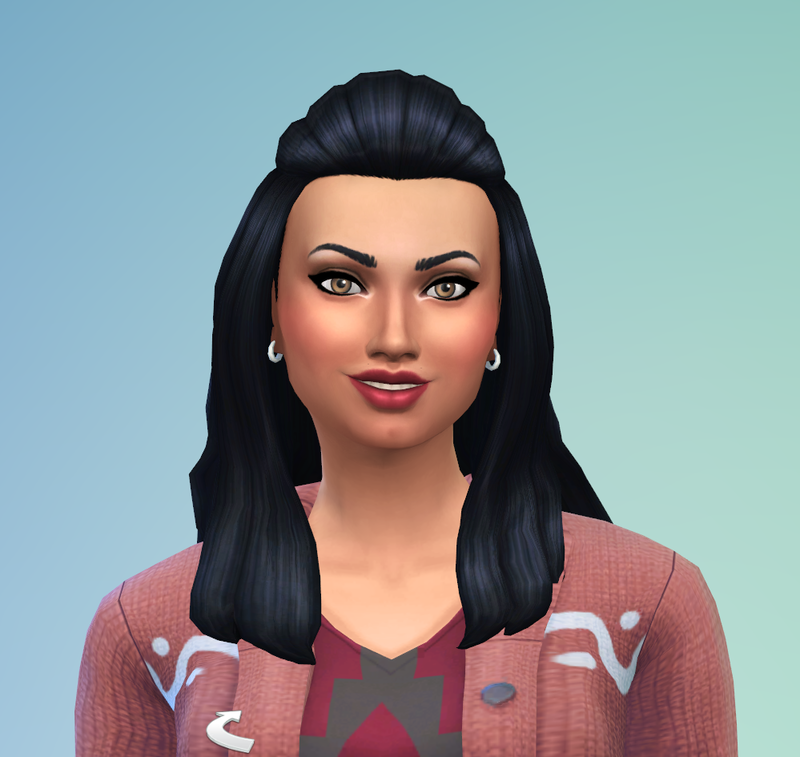 Her aspiration is Bestselling Author and her traits are creative, perfectionist, bookworm and muser from her aspiration. Her first name comes from a variation of the word rosebud and her last name means wealthy in Italian. A very fitting name for this challenge participant! She chose to move into the Arid Ridge empty lot. 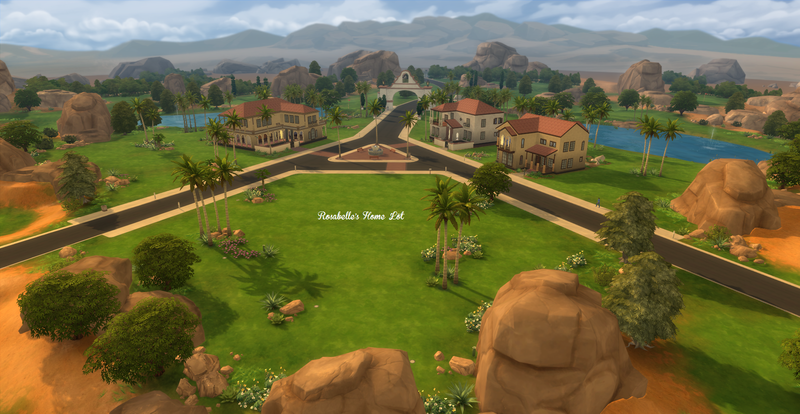 Rosabelle’s new home is in the neighborhood of Skyward Palms in Oasis Springs, it is a golf community featuring Spanish Hacienda style architecture. The grounds are lush with grass and other plants and flowers and there are 2 beautiful ponds with fountains in them. 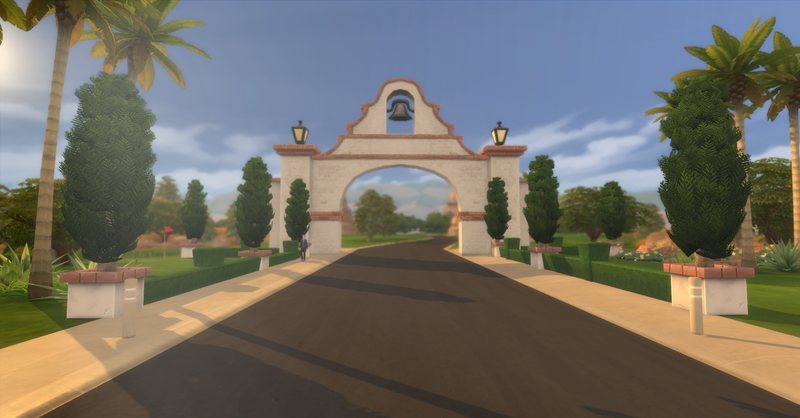 The gate leading into the Skyward Palms community. She will need it! Her family has a very long way to go to their goal!